LayArm Dropmember Air-Bag System - 63-70 C10 Chevy and GMC 1/2 ton. 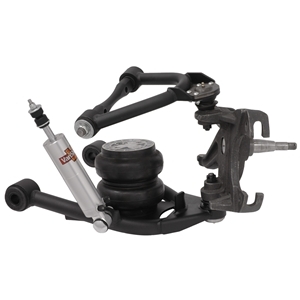 Includes upper & lower control arms, and shocks. For installation on KPC FCB-C31 Dropmember only. Options: air bags, aluminum VariShocks and spindles.